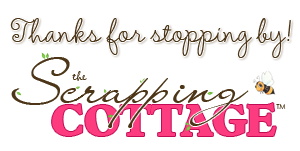 Happy Sunday CottageCutz fans! It's Janet and it's my turn to share some creative inspiration with you. 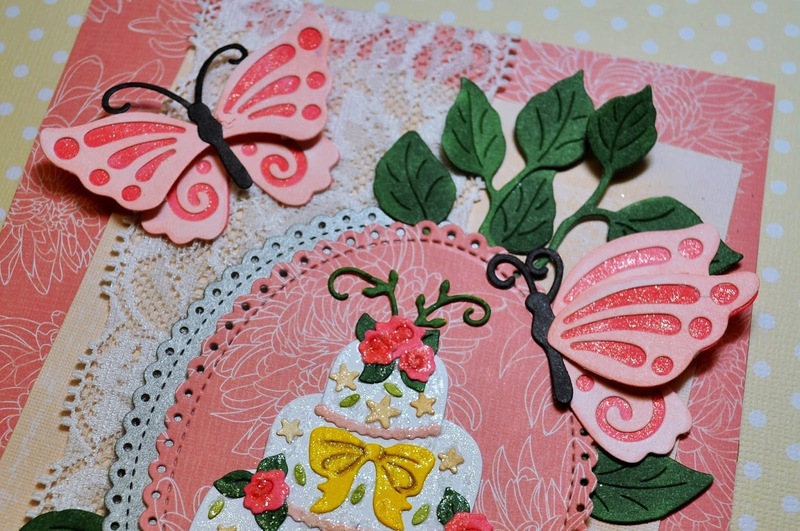 Today's project is a card featuring the beautiful new Tiered Wedding Cake die. I had a lot of fun putting it together. It has a lot of small pieces but I found a way to make them easier to manage and color. I share this tip with you in the video and show you how well it works. You may have seen it before but you'll get to see it in action in the video. 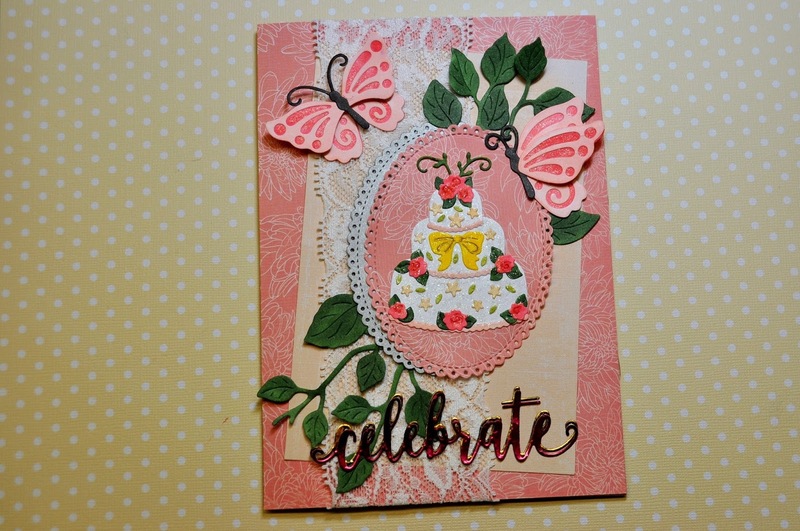 The card also features the new Nested Stitched Eyelet Oval Set, the Celebrate Expressions Die, Butterflies, and the Leafy Foliage dies. I cut all the pieces in white card stock and used my Spectrum Noir markers and clear Wink of Stella so that each of the die cuts complemented each other as a set. For full instructions and a look at how it was put together, click on the video link below. It was great spending a little time with you today. I hope the rest of your weekend is great! 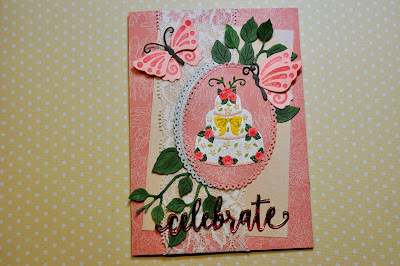 Pretty wedding card, Janet -- great video! And I'm going to have to look up that press and seal mat. It worked great -- wonderful tip! 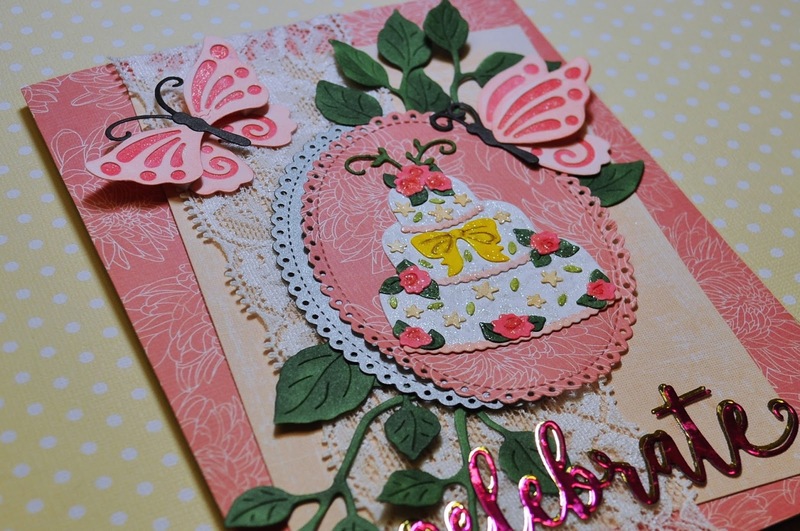 Love the shimmering wedding card! And your video is perfect! Very pretty card! And I love the press and seal instructions! Great tip!